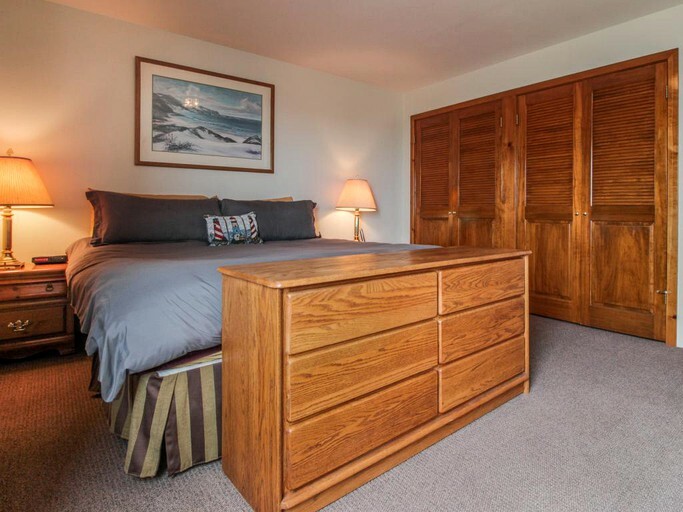 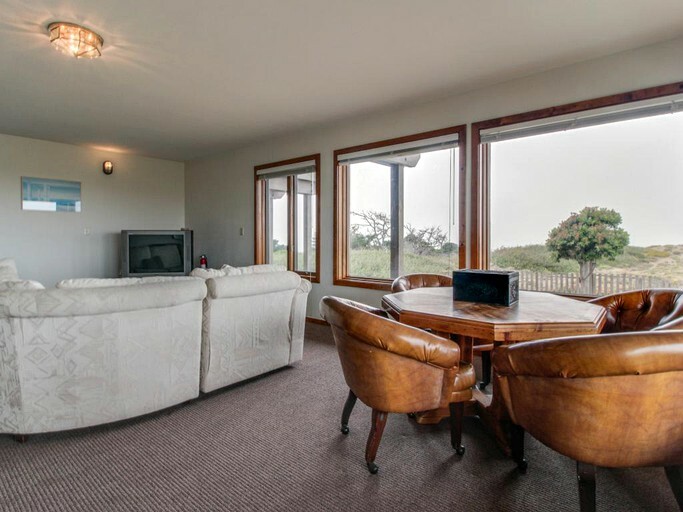 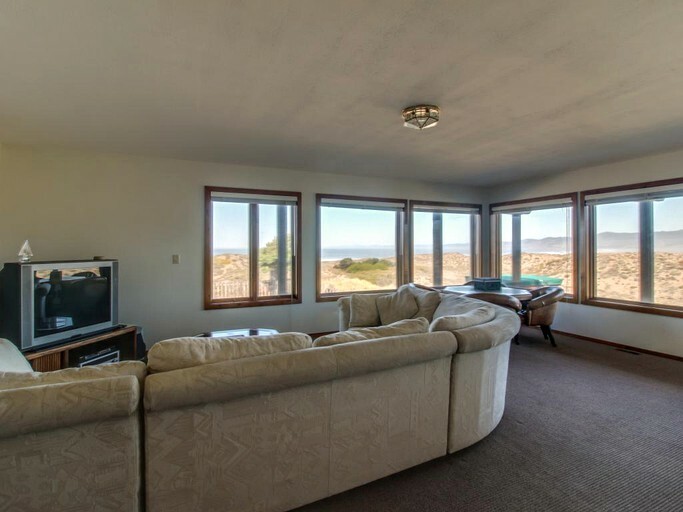 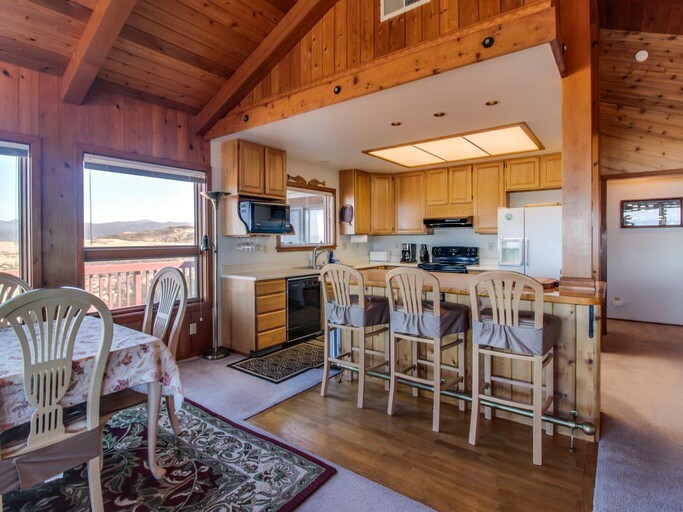 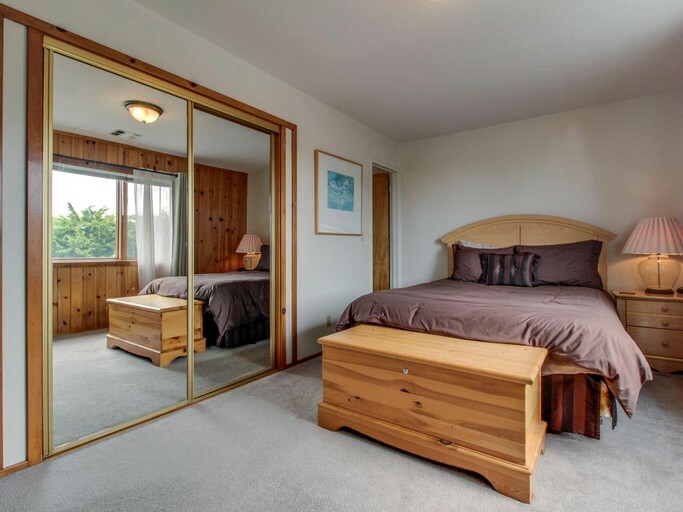 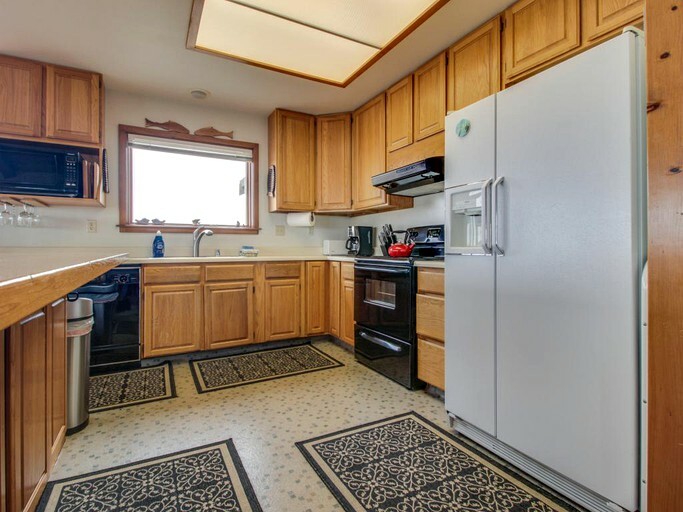 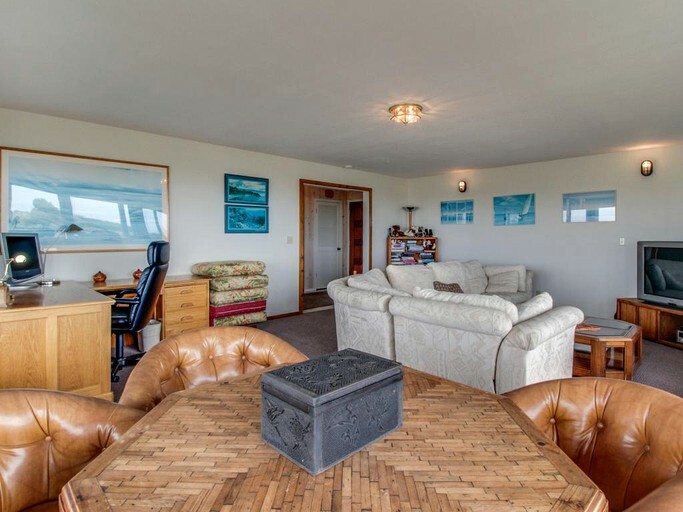 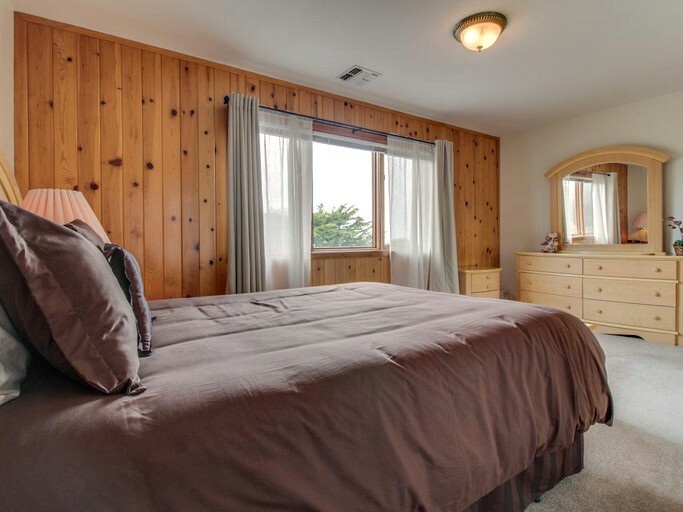 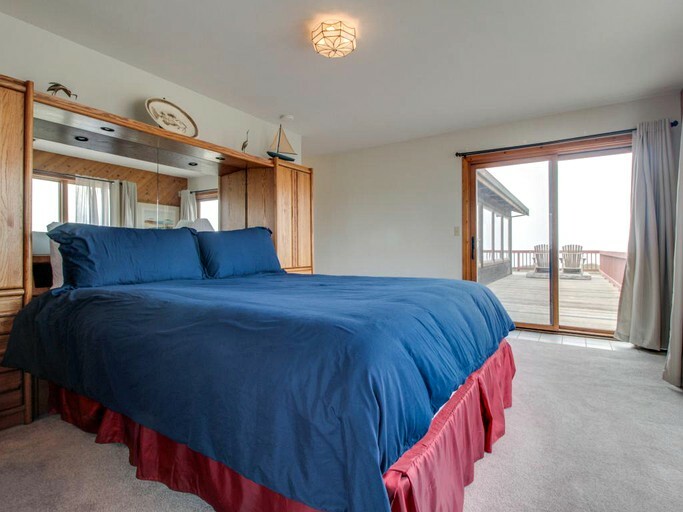 This spacious, oceanfront vacation rental in Fort Bragg, California, sits right on the edge of MacKerricher State Park and boasts four bedrooms, as well as extra sleeping room in the living room upstairs and the den downstairs. 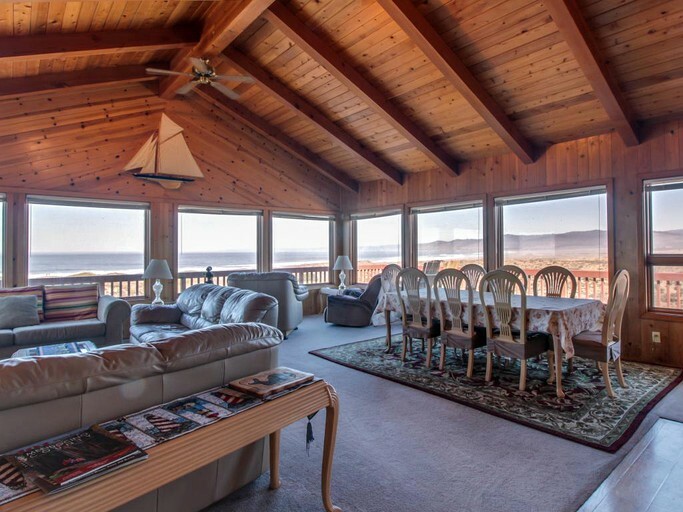 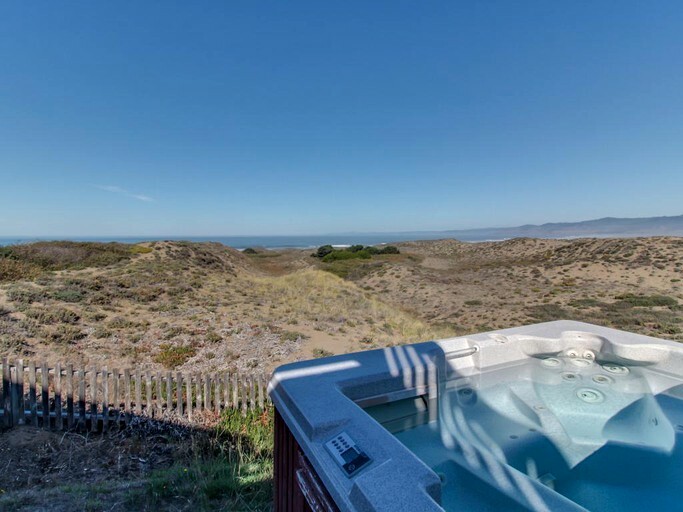 The upstairs deck is home to the hot tub, with some incredible views over the state park and the ocean. 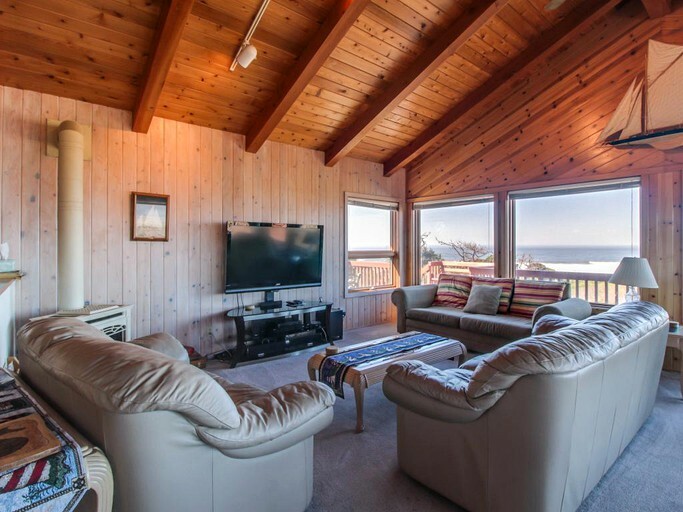 On the first floor, there is a spacious den boasting a large, L-shaped couch and a flat-screen TV with cable, with the large window wall giving views of the beach right from the property. 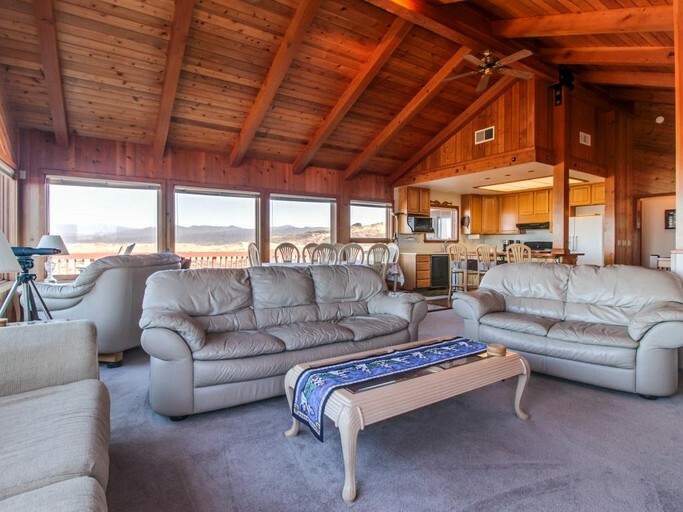 This is a great place for kids to have all to themselves, with plenty of sleeping room between the large couch and the queen-size sofa bed. 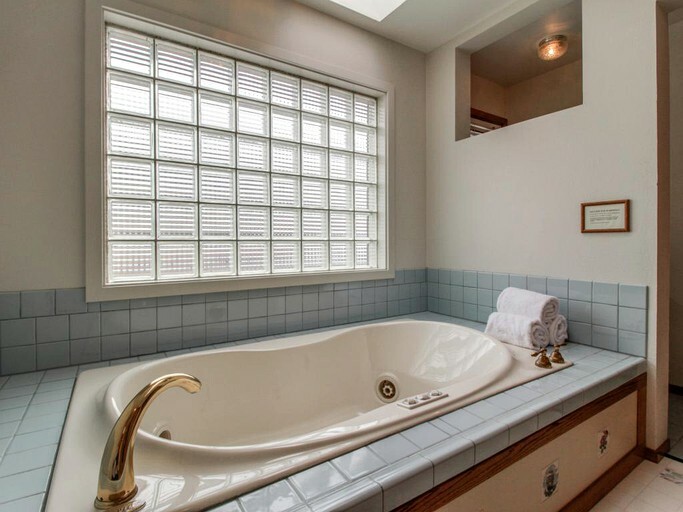 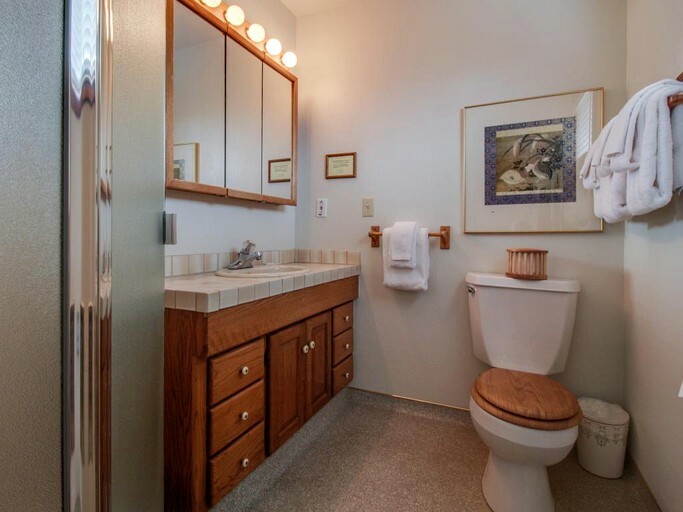 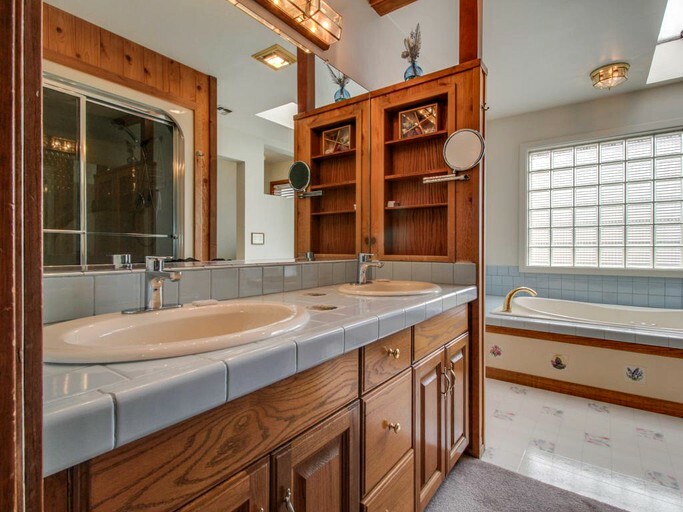 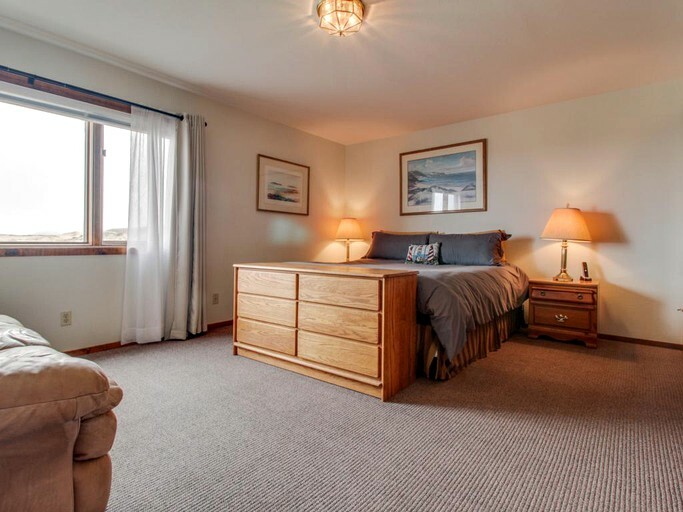 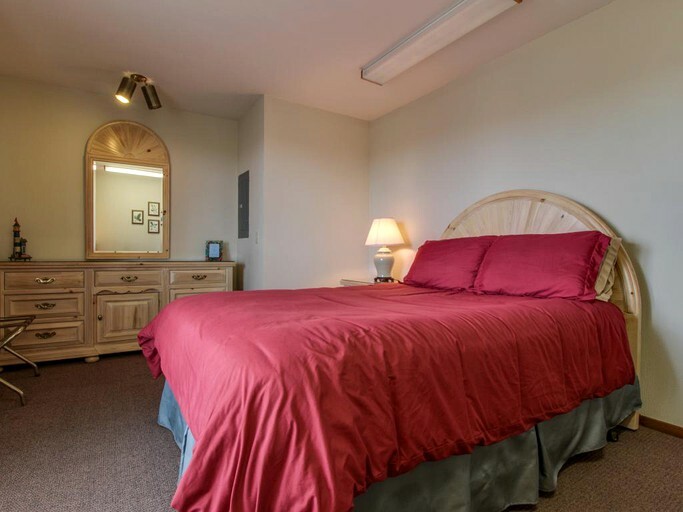 Two more bedrooms are available on this floor, both with queen-size beds, as well as the first and largest of three bathrooms at the property, boasting a large shower as well as a jacuzzi tub. 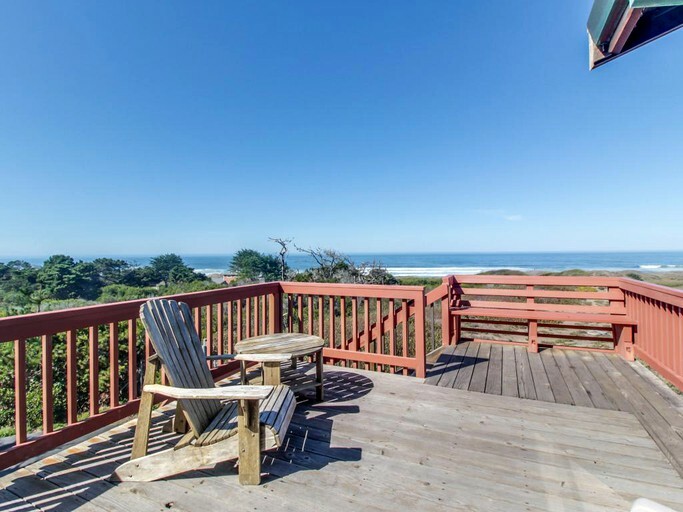 3,200 square feet of uninterrupted ocean views are just waiting for glampers at this large vacation rental. 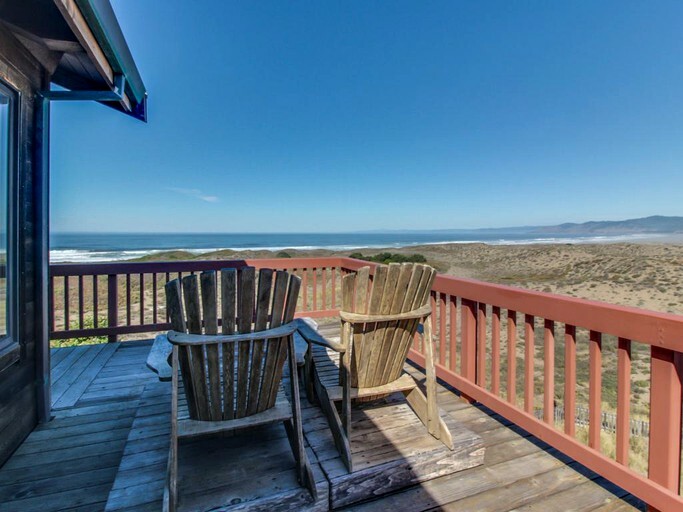 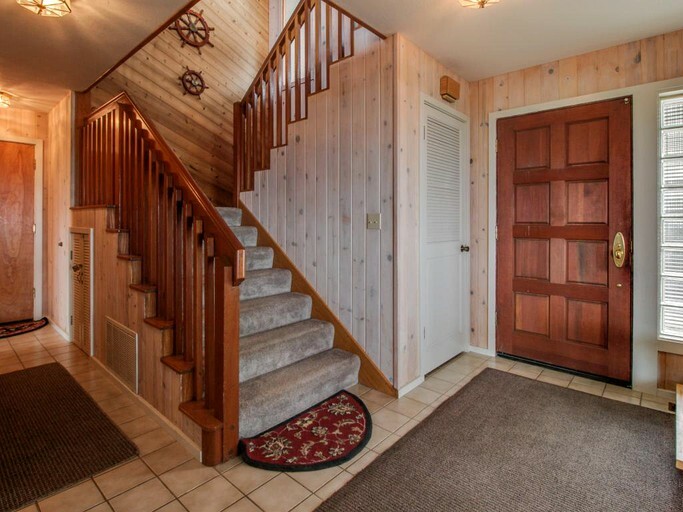 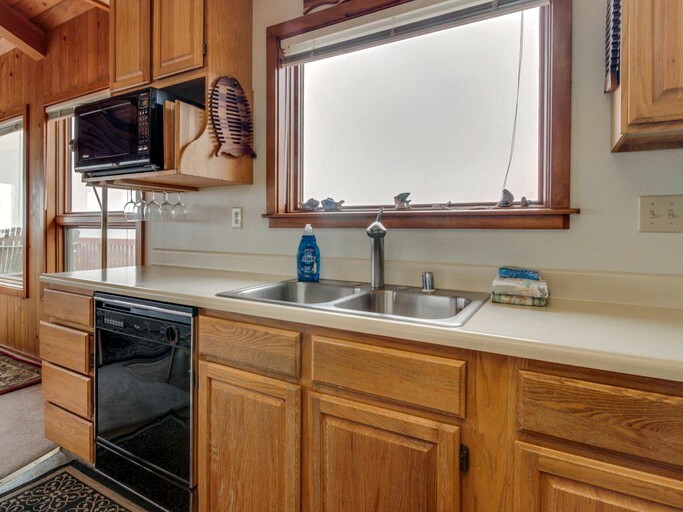 Right on the edge of the MacKerricher State Park, this charming accommodation offers a hot tub with ocean views, as well as a large second-floor deck. 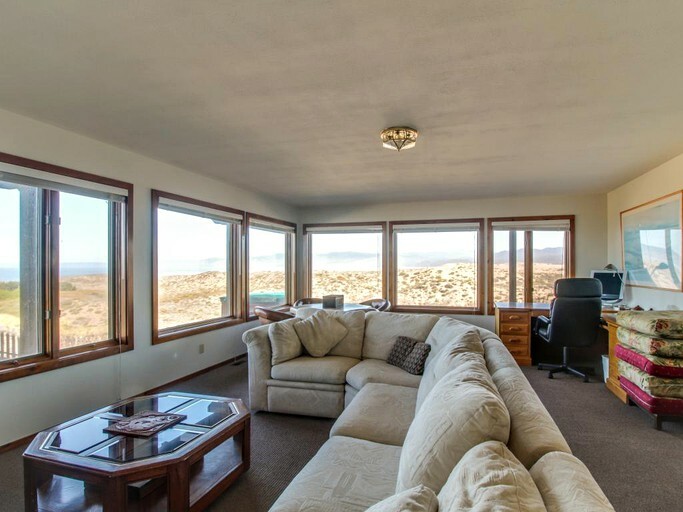 The property is solar powered and has a generator, meaning cozy movie nights in will never be affected. 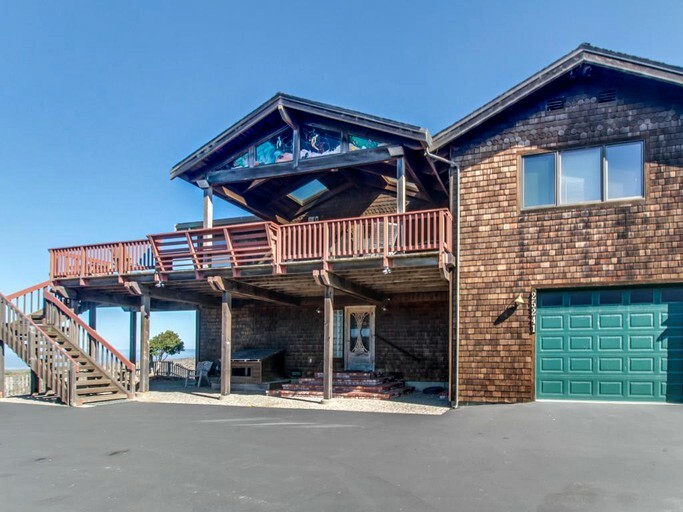 There’s plenty of room for guests to park out front of the accommodation. 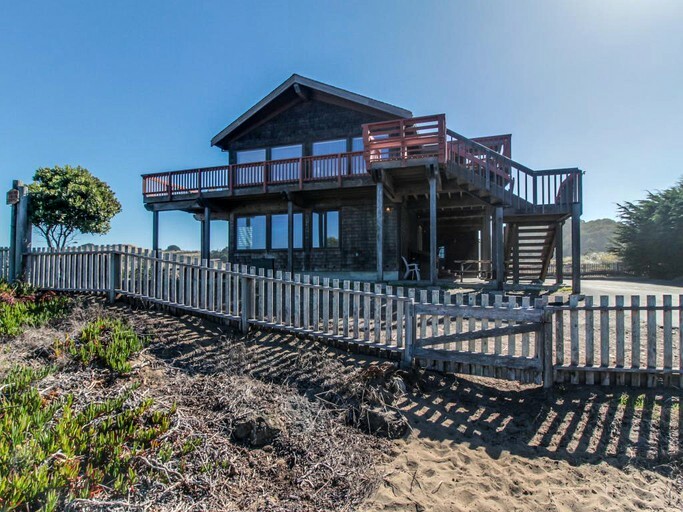 This charming, rustic home is right on the edge of MacKerricher State Park, which offers a huge variety of activities for glampers to get out and enjoy the California sunshine. 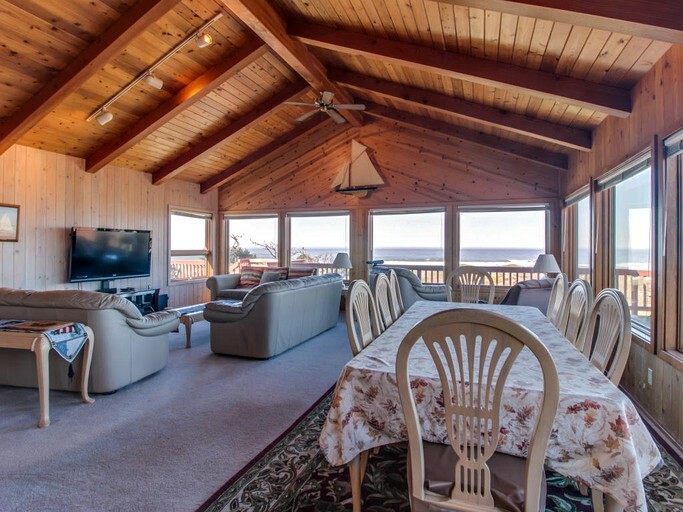 Boating, scuba diving, and windsurfing are just a few of the water sports available here, as well as hiking and biking trails, horseback riding, and picnic areas, perfect for a day out in the open, admiring the incredible ocean views. 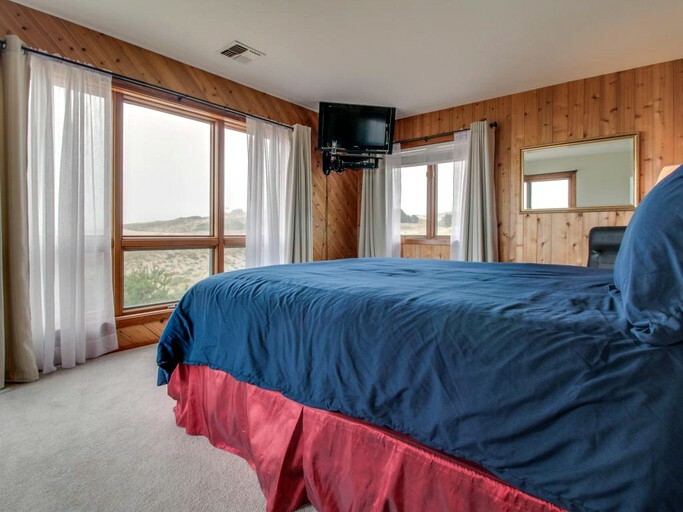 A few miles down the coast is the Noyo Headlands Fort Bragg Coastal Trail, taking glampers along the rugged clifftops and across the unique beaches of Glass Beach, abundant in sea glass. 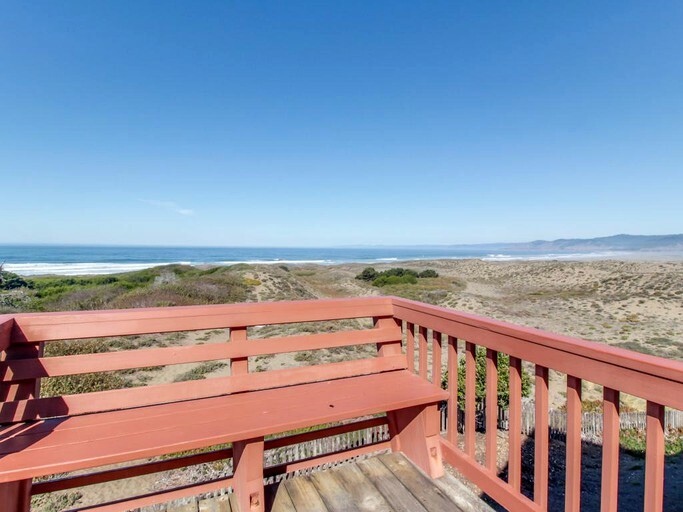 As the trail is open from dawn to dusk, this is another great spot to explore the incredible views the area has to offer. 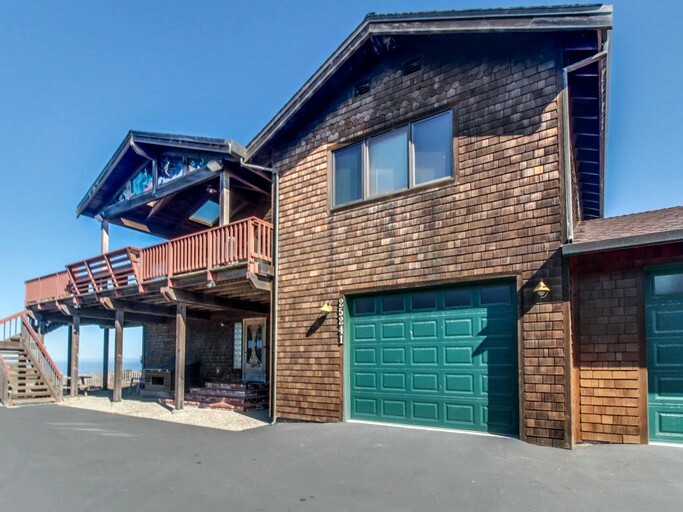 For those lazier days, the North Coast Brewing Company is just over four miles south of the property, offering great beer, as well as fish and chips. 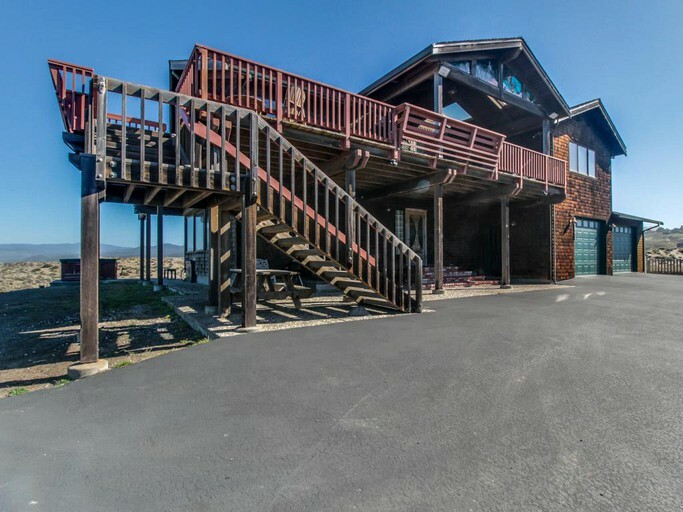 The Pacific Star Winery is only 15 minutes north of the property, and offers wine tasting of both classic and rare and unusual varietals and blends, with all grapes being sourced locally in Mendocino County’s heritage vineyards. 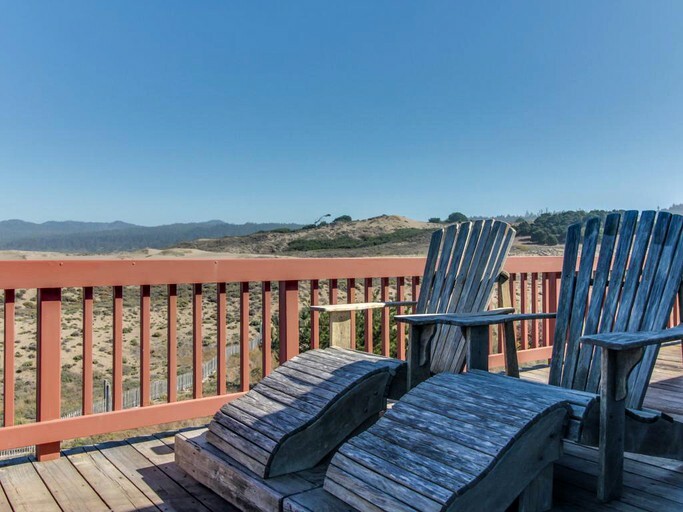 The Mendocino Coast Botanical Gardens attract gardeners just as much as nature lovers. 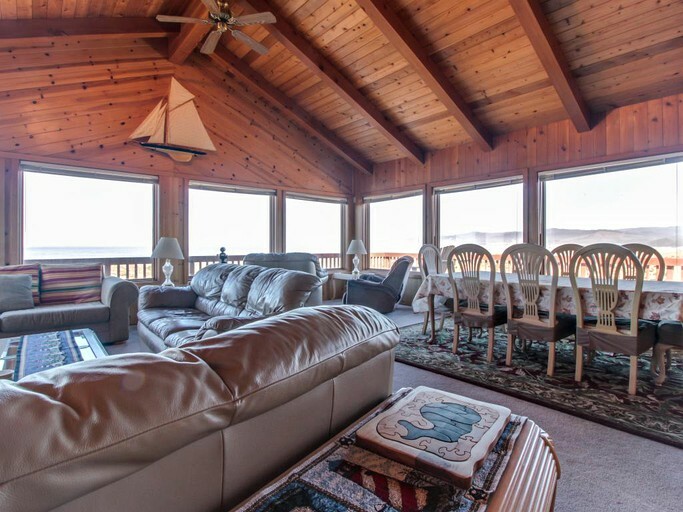 The colorful displays set against the backdrop of roaring waves is an experience that can’t be missed.